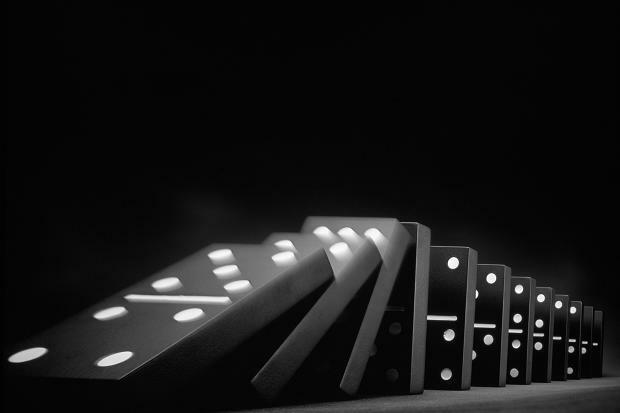 The Common Core dominoes are falling like a house of cards. Checkmate. All over the country, grassroots pressure is driving states to ditch the increasingly unpopular Common Core education standards. Politicians are hurriedly backing away from their previous support, and next year’s incoming class of legislators are enthusiastic about reform. As of this writing, six states have withdrawn from Common Core: Indiana, Louisiana, Missouri, Oklahoma, South Carolina, and Utah. Ohio is currently considering a bill to withdraw, and earlier this month Tennessee introduced similar legislation. Lawmakers in Wisconsin and West Virginia have said that Common Core reform is high on the agenda for next year. Former supporters of the standards, like Gov. Mike Huckabee and Gov. Bobby Jindal, have since changed their positions and now oppose them. In Wisconsin, Gov. Scott Walker has also rescinded his previous support, now openly calling for repeal. All this is in spite of big money ad buys in support of Common Core, and threats by the federal government to deny states No Child Left Behind waivers if they opt out of the standards. Why is all this happening? Politicians don’t change their positions for no reason. Lucrative special interest programs funded by the likes of Bill Gates are not abandoned on a whim. It’s simple really. When the American people speak loudly enough and with enough unity, government has no choice but to listen. From a public relations standpoint, Common Core has been an unmitigated disaster. Parents hate them. Teachers hate them. Children hate them. Even some of the country’s biggest unions hate them. Pretty much the only people who actually like the standards are those who have never seen the inside of a classroom. And the response has been a vocal one. Comedian Louis CK effectively captured the mood of the nation in his condemnation of Common Core on Twitter, a story whose popularity was boosted by its resonance with other American parents. Glenn Beck partnered with FreedomWorks to host “We Will Not Conform,” a live strategy sessions broadcast in theaters across the country that offered practical alternatives to Common Core and provided education to individuals on what they could do to fight back. The retreat of Common Core has been very much driven from the bottom up, with individual dissatisfaction bubbling over into collective action that has resulted in real policy change. In North Carolina, parents have increasingly turned towards alternative education strategies like homeschooling out of frustration with the standards. Such behavioral shifts are hard to ignore for politicians who want to win reelection, and who are aware that parents vote. None of the progress that has been made on Common Core would have been possible without the political activism of the grassroots. The fact that pressure from ordinary people has resulted in a cultural and political shift that now looks likely to consign Common Core to the dustbin of history should serve as inspiration for anyone who has ever felt too small to make a difference.